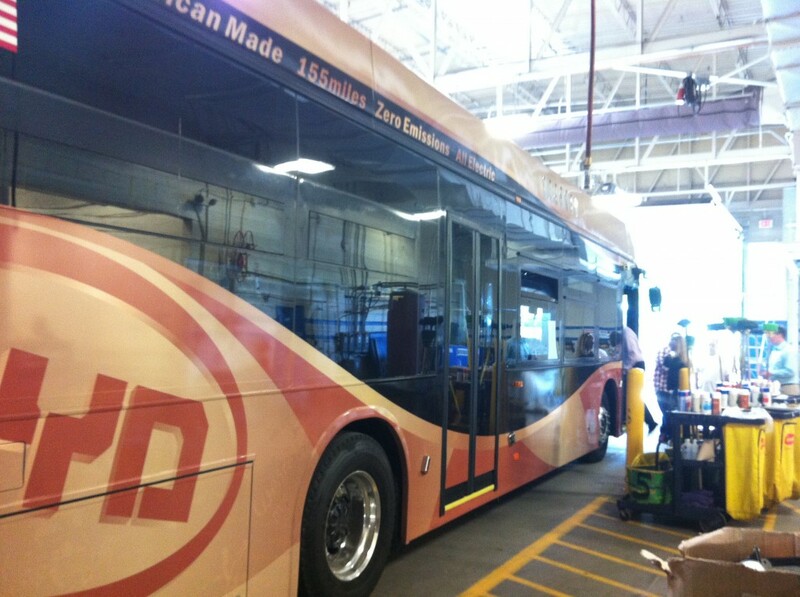 On Tuesday, June 4th, BYD demonstrated their 40-foot all-electric transit bus at the CDTA bus garage in Albany. These environmentally friendly transit buses produce zero emissions and have the longest driving range for an electric bus of 155 miles. The batteries can be charged from 0% to 100% in 5 hours and can be charged by: a charging station, a BYD electric car, or even another BYD bus. This vehicle is eligible for the NYSERDA EV Truck Voucher program. Through this program, approved Class 3 – 8 All-Electric Vehicle trucks or buses can purchased from approved vendors with a financial incentive up to $60,000. For this particular all-electric bus, the incentive is $60,000. More information about the Truck Voucher program can be found at: https://truck-vip.ny.gov/. Following a brief presentation on BYD and it’s all-electric buses, CDTA was able to test drive one and experience a quieter and cleaner drive through Albany. BYD has also tested the buses through New York, New York and Long Beach, California, and will also present to other areas in the East Coast. Thank you to everyone who was able to attend, and especially to BYD for presenting their all-electric bus!